Sponsored Social has redefined what digital word-of-mouth can do for brands. Crossing over into the “Native Advertising,” “Content Marketing,” and “Influencer Marketing” categories, Sponsored Social is a rapidly growing marketing practice. It has created a way for brands to not only connect with their target audiences, but also for consumers and influencers to form compensated business relationships with the brands they love, while creating and sharing brand-sponsored content with their online followings. As Sponsored Social continues to grow, the demand for independent metrics to guide the industry’s future continues to increase. Sponsored Social pioneer IZEA commissions an annual study to uncover insights on the knowledge, experience, and overall sentiment of marketers and creators around Sponsored Social, as well as their input on budgets, price perceptions, and FTC compliance. For the first time this year, the study also surveyed consumers to see how they feel about Sponsored Social—a sentiment that has never been measured in the industry. Carried out by The Right Brain Consumer Consulting and Halverson Group, the sixth annual State of Sponsored Social report revealed that consumers rate Sponsored Social as equally or more effective than all other forms of traditional and emerging media. 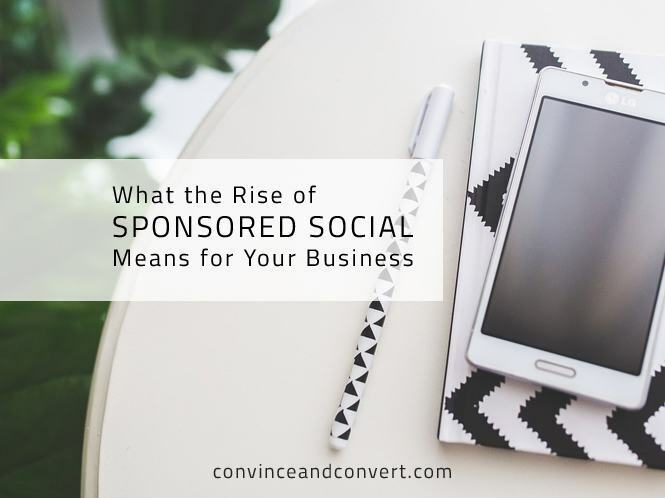 The study also uncovered that 52 percent of companies now have a stand-alone Sponsored Social budget for their brand and find Sponsored Social to be one of the top three most effective marketing investments they make. 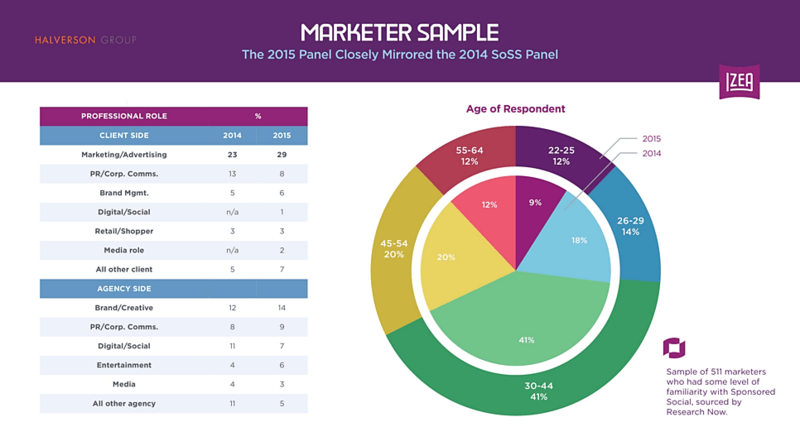 For the marketer portion of the study, Halverson Group distributed a Quantitative National Survey to 511 marketers, including both client and agency marketers from large and small companies, and spanning the spectrum of professional levels. To ensure rich and relevant feedback, all respondents were required to have familiarity and professional experience with Sponsored Social programs. 25 percent of companies have an organizational annual budget in excess of $500,000; five percent estimated their Sponsored Social annual budget is in excess of five million. There is strong positive momentum behind Sponsored Social’s marketing effectiveness—in fact, over half (54 percent) of marketers feel better about Sponsored Social than they did a year ago. Most Sponsored Social marketers compensate creators with monetary payment versus free product or merchandise. 85 percent of creators say they are more likely to purchase from brands that sponsor them, 89 percent say they tell friends about brands that sponsor them, and 83 percent share posts about their sponsors for free, outside of their contractual agreements. 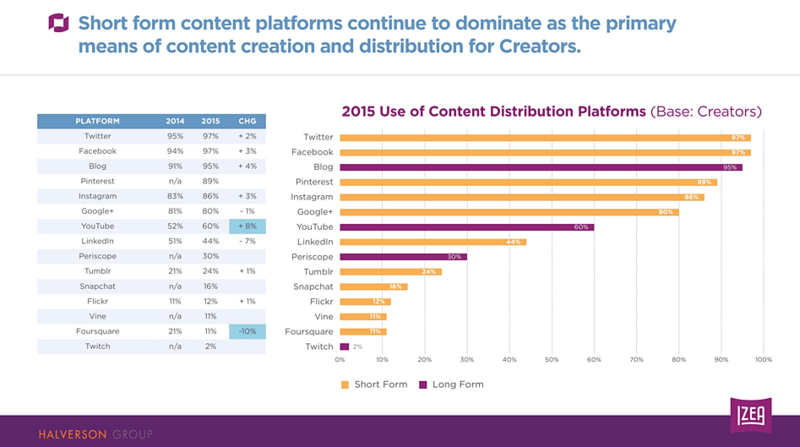 Over two in five content creators spend zero to 39 hours per month producing content, as more are focused on short form “snack-able” media on platforms such as Twitter, Facebook, and Instagram. Sponsored Social is a source of income for nine out of 10 creators, and say it accounts for 55 percent of their income. Sponsored Social represents the primary source of creator income, beating out display advertising. The consumer portion of the study uncovered findings on consumers’ social media usage, media consumption patterns, and perceptions around Sponsored Social’s effectiveness. The study distributed an online survey to a nationally-representative U.S. sampling of 1,003 consumers, ages 18-70. Over one in three adult online users ages 18–70 have seen a Sponsored Social message in the past year. On average, adults see three Sponsored Social messages per day. Sponsored Social is perceived by social media users to be equally or more effective than TV commercials, and far exceeded banner and traditional print/radio ads in terms of effectiveness. Consumers rate the credibility, trust/respect, and actual product use of content creators as the key drivers to Sponsored Social effectiveness; Creator popularity, fame, and audience size are far less important. As Sponsored Social gains notoriety as a highly effective marketing tool that benefits brands, creators, and consumers, it will continue to play a vital role in marketing strategies for years to come. 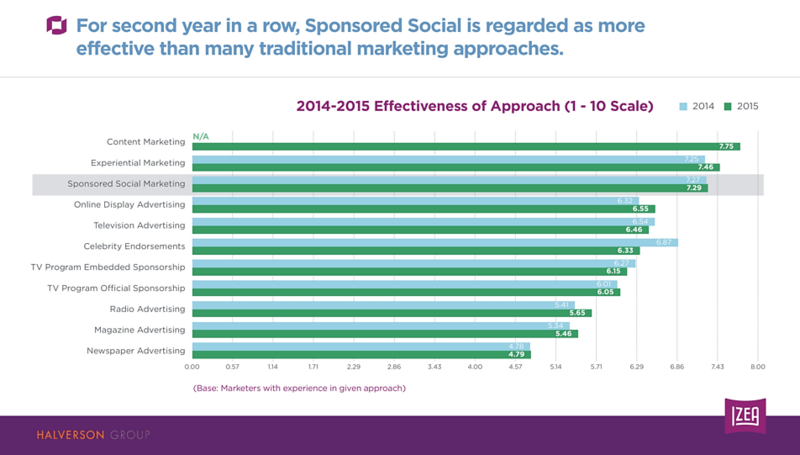 View the full 2015 State of Sponsored Social report here. A serial entrepreneur who has founded six companies since 1994, Ted Murphy is the “Father of Paid Blogging” and the Founder, CEO, and Chairman of Sponsored Social pioneer IZEA.